Stay informed of environmental conditions affecting the places and things you care about. 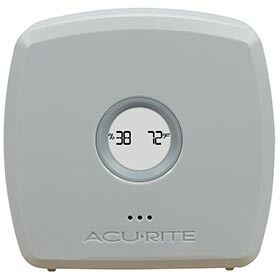 With an AcuRite Liquid & Soil Temperature Sensor, you can accurately measure temperature in a wide range of environments, providing many practical applications and giving you the information you need to take action. 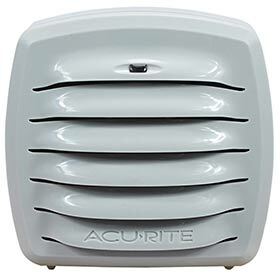 Setup is simple, the Wired Sensor plugs into either a a Room Monitor or an Outdoor Temperature & Humidity Monitor (required; sold separately). Then, position the temperature probe in the location where you want to measure temperature. Its versatile design allows it to be inserted into potting soil, slipped through small openings (like ducts and vents), partially submerged in water, or affixed lengthwise to a pipe or hose.